Beaucon Natural Gray Circle Lenses - Cherry Colors - Cosmetics Heaven! It's been many years since I got myself a pair of circle lenses. But what better occasion than the re-opening of a store that I was buying from before? 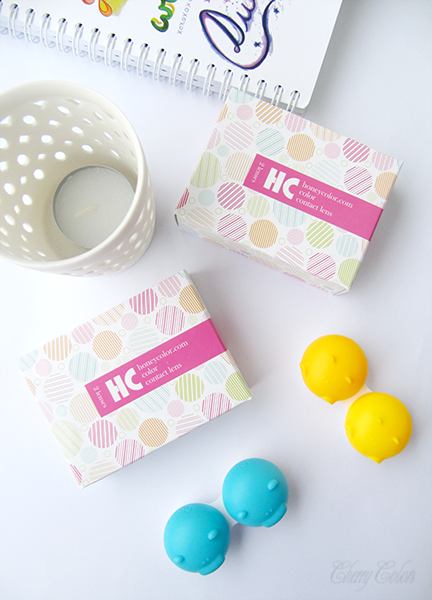 The store HoneyColor had a 50% discount (with a code) that I was eager to use. I mean, I needed to buy new lenses anyway (and since I have different prescriptions on each eye, it gets quite expensive), so what better time to "splurge"? The lenses I will be talking about today are the Beaucon Natural Gray. I wanted a pair of lenses that I could use instead of my daily lenses and with proper care they would last a long long time - max a year. I really like how they came packaged. Safe and pretty! Great job HC. At first I was really scared of trying them out. I thought they would be too obvious. Oh boy, I couldn't have been wronger. Look for yourself. They actually look very natural. Even more than the Shimmer Greens. 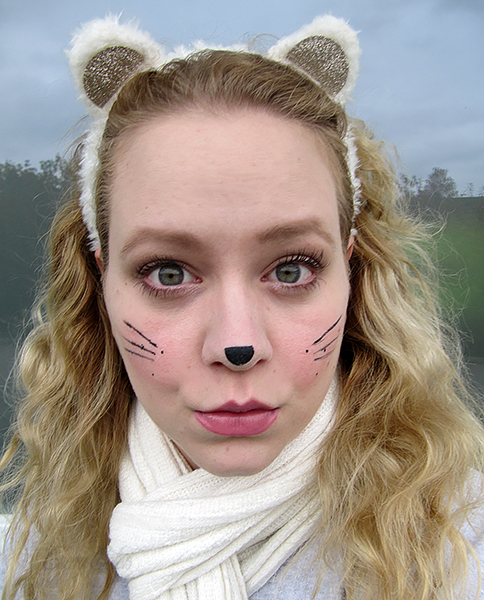 And now I know which sort of lenses I will be buying next (in a year or so) because no one notices when I wear these. And even without makeup I don't look like a freak. My eyes are just a tad bigger ;). I wore them in my "mouse" makeup. 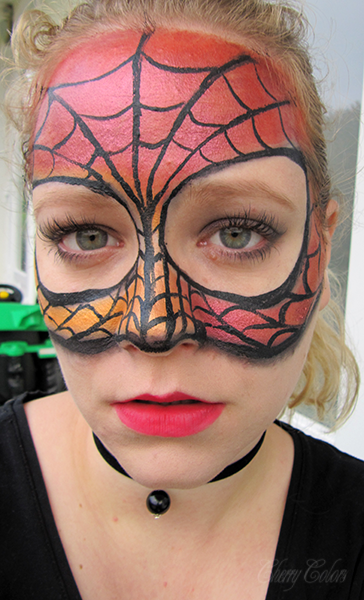 And even in my spider woman makeup! These are also pretty comfortable, but not as much as my beloved Acuvue Oasys. I just checked out and Acuve lenses contain less water %, but feel better because of the different material. But these are pretty thin and don't dry my eyes out. They are priced at $23, but I got them 50% off (woohoo!!). If you're considering getting some to play with, you should know your Base Curve (how your eyes are curved). I know mine are 8.4 so I can wear 0.2+- the difference in BC before I feel like there's something in my eyes. Overall I find them to be comfortable, but I can't wear them for more than 10 hours at a time. It's not even recommended, but you know, I like to see when I'm around ;). They are perfect for wear while I'm outside, but while I'm using my PC they aren't since my eyes get drier than normally. Would I recommend them? Yes! Of course, they are fun and as long as I will be taking care of them, they will be perfectly good.